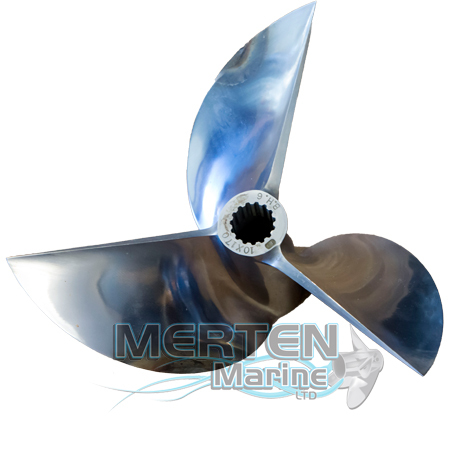 After December 15, 2017 Mercury made the decision to discontinue this product as No Longer Available due to the changes in the marketplace or migration to other propeller models. It will remain available here until Mercury stock is depleted. If you have a question about possible availability, please give us a call at 920-231-2916. For high-performance production boats; mainly for air lubricated boats inspired by boat racing. Standard from the factory is considered custom finished props and could be up to a 2-week ship date. Mercury no longer makes the 4-blade model. Our specialty is our in-house propeller shop to lab finish or to customize the prop to meet a particular need for engine brand and boat size style. Call 920-231-6751 to obtain an estimate for custom work or inquire about alternative diameter props. Ask for Jim. Copyright Merten Marine LTD. All Rights Reserved. eCommerce Software by 3dcart.